I wish the dirt jumps in my hometown were this good. We got a really good park but then nobody took care of it, then to top it all off they hired a crew of people to fix them and redo the park, now it's even worse. Great edit, great park! Well done guys! Sweet little training spot man- looks fun. Nice 1ft Table as well man, that was clicked! thanks gav! you should come up soon! Wow. So much has been built since the last time I visited. Broke my wrist there on my first and only visit. Looks like we need to come and ride soon and hit up the foam pit! joe your editing is sick! thanks aiden! couldnt be done without the help of the guys setting up the cable cam and other bits ha! do it!! open saturdays, sundays, tuesdays and thursdays! omg dat spot is fantastic ! nice trails man, next time im east ill try come have a flutter. 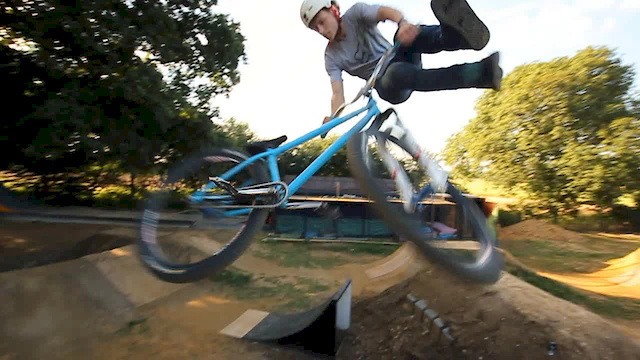 nac at 3:30 was stylin man! What's the songs joe? They where life changing dude! Cheers dude! Swear u know the darkest edit tune! Can't wait for your next one! Sick edit looks like you guys can almost do anything!! Nice work on the edit! Is this a public park? thanks! yeah it is public! thanks, you should come down to ride!